The title itself is the theme of the branch conference of NELTA in Ramechhap held on 21st and 22nd September 2012. More than two hundred fifty English language teachers attended the conference from this region. The conference made the ELT professionals meet at a platform once again in the mid-eastern hill of Nepal. The conference attendees shared their experiences and challenges in teaching English as foreign language and excitements with other participants and presenters. This is a brief account of a two days event. The two-day conference and training program was a significant get together of EFL (English as Foreign Language) teachers in Manthali. The teachers from Sindhuli, Dolakha and Okhaldhunga also attended at the program. Majority of the participants travelled for two days to attend the branch conference of NELTA Ramechhap in Manthali. NELTA Ramechhap had decided to hold this event particularly to energize the NELTA members and English teachers of this region to expand the NELTA networks and generate discussions on how a teacher from hinterlands of the country grow professionally through professional networks. The inaugural ceremony was chaired by Mr. Tanka Prasad Dahal, the chair of NELTA Ramechhap, and Mr. Hemanta Raj Dahal, President, NELTA Centre was the chief guest. There was the gracious presence of Mr. Narayan Mainali, Local Development Officer Ramechhap, Mr. Yubaraj Poudel, District Education Officer Ramechhap, Mr. Damodar Regmi, Department of Education, MOE, Mr. Kamal Poudel, General Secretary, Ms. Motikal Subba Dewan, Ms. Madhu Neupane and Mr. Ashok Raj Khati from NELTA Centre, heads of different governmental and non-governmental organizations, representatives from various publications, campus chiefs and head teachers. Mr. Hemanta Raj Dahal, President, NELTA Centre and Mr. Narayan Mainali, Local Development Officer/Chair of District Education Committee jointly inaugurated the conference in the presence of 250 English language teachers/professionals/practitioners at DDC hall in Manthali. Mr. Chandra Singh Dhami, one of the founding members of this branch, welcomed the guests and participants by making special recall of its initial days. Mr. Nanendra Singh Dhami recalled the hardworking members and NELTA activities on its initial days. On the occasion, Mr. Hemant Raj Dahal elaborated the theme on the first day sharing a lot of examples of himself on how he grew at this level of professionalism. He highlighted the importance of teachers’ professional networks to grow and update professionally. Further, he explained on how NELTA is working in the field of teacher development in collaboration with government of Nepal and other national and international agencies. At the end of his remark, he mentioned the future directions of NELTA including the building of resource centre in Kathmandu. Mr. Kamal Poudel also made remark on the prominent role of professional networks and supporting role of NELTA to enhance professionalism among its members and non-members. DEO, Yubraj Poudel expressed his pleasure being a part of this event and thanked NELTA branch Ramechhap for holding a two-day branch conference. He promised to support NELTA in the days to come and requested NELTA Ramechhap to come with plan to improve the performance of students in English at 10th grade for collaboration. Mr. Damodar Regmi from Department of Education, MOE and Mr. Gunja Bahadur Shrestha, Campus Chief of Manthali Sahid Smriti Multiple Campus, also thanked NELTARamechhap for organizing the branch conference and highlighted the importance of conference. At the inaugural ceremony, Mr. Lambodar Ghimire, the chair of Shuvaramva Publication handed over a computer to Mr. Tanka Prasad Dahal, the chair of NELTA Ramechhap and expressed that he wanted to see more collaborations with NELTA in the days to come. On the occasion, Mr. Ashok Raj Khati, central committee member and former chair of NELTA Ramchhap, shared the experiences of working in NELTA in rural context and appreciated various contributors of this branch. Mr. Hemant Raj Dhahal offered the letter of appreciation to special contributors from different institutions who contributed to establish NELTA Ramechhap branch. Mr. Ganesh Shrestha, an executive member of NELTA Ramechhap branch, expressed vote of thanks to chief guest, guests, all the participants, contributors, on behalf of NELTA Ramechhap, who had extended their hands to make the event happen and made an appeal to all be unified under the umbrella of NELTA to develop the professionalism. Mr. Tanka Prasad Dahal, the chair of the programme and the president of NELTA Ramechhap branch, expressed his pleasure for the remarkable attendance of the participants and for their enthusiasm. Ms. Motikala Subba Dewan, central committee member, presented a session on “Creating Short Stories from Everyday Life”. Her presentation made participants think practically to produce short stories from everyday events. She demonstrated many real incidents through short stories of real interest. All the participants enjoyed and felt its relevance to make the classroom learning lively and full of creativity. Mr. Kamal Poudel gave a session on, “From Recipients to Initiators and Players: Transforming EFL Classrooms into playgrounds”. He focused on the failure of traditional teaching strategies in Nepalese contexts where most English classes end up with teachers’ one-way instructions, and learners are left as bored recipients. The workshop focused on EFL games and activities which enable the learners to hold the roles of initiators and use L2 with fun while playing locally relevant and context bound games, and thus improve L2 innately being motivated intrinsically. He shared various activities to make the classroom live. Mr. Hemanta Raj Dahal presented some practical tips in ELT. He particularly focused on assigning tasks to the students to make English language learning meaningful. His emphasis was on creating authenticity in EFL classroom. Further, he made the participants involve in various activities during the workshop. 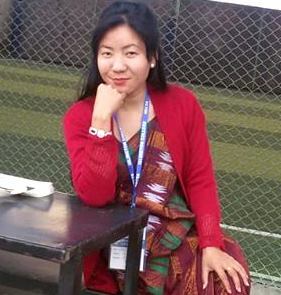 On the second day, Ms. Madhu Neupane Bastola, central committee member, gave the first presentation on “Promoting classroom interaction using cooperative learning” with special focus on maximizing student talking time and minimizing teachers talking time. The presentation focused on the elements and benefits of cooperative learning. She activated the participants involving in many activities like Four Corners, KWL, JIGSAW, Debate, Panel Discussions, One Sentence Story and Interactive Reading to promote collaboration in learning in the classroom. The second session was followed by the workshop of Mr. Kamal Poudel, on “EFL songs and stories for young learners”. He stressed on the issue that teaching L2 to young learners is a daunting task in Nepalese contexts. In this light, he suggested that a teacher could exploit locally tuned L1songs to enhance their L2 motivation, which are enjoyable too. With the support of context-bound pictures, local melody, and L2 activities, the teachers can make their classes instrumental for learners to emulate their target language. He made the session lively and enjoyable by making the participants sing the EFL songs in melody of Nepali folk songs like Resham Phiriri. Mr. Ashok Raj Khati, central committee member, briefly shared about his experience on teaching reading texts, particularly, advertisements at tenth grade. He generated interaction among the participants on the experiences of teaching English and preparing students for SLC examination to perform better in the written test. There was the gracious presence of various dignitaries in the closing ceremony. Mr. Hemant Kumar Budhathoki, the under-secretary, District Education Office Ramechhap, was the special guest who expressed his pleasure on the entire effort of NELTA members and English teachers of this region to enhance professionalism. Further, he made the remarks that the conference had given a great message to foster the professionalism. Mr. Kamal Poudel, General Secretary, expressed his pleasure for the overwhelming responses of the participants to the event. He mentioned that the event was remarkable particularly to expand the NELTA networks and to learn from each other. Ms. Madhu Neupane conveyed the message that this type of platform was really crucial to grow professionally on the part of English Language teachers at outlaying part of the country. She found NELTA branch Ramechhap vibrant, organized and dedicated. Similarly, Mr. Laxman Kumar Ghimire, the advisor of NELTA Ramechhap, appreciated the effort of NELTA members for holding the branch conference in Manthali. He further expected that NELTA would organize the level wise training for English teachers only after collecting the trainees’ needs. At the end of the both days, children from various schools performed a cultural show reflecting the ethnicity of this region, mid-eastern hill of Nepal. The branch conference was successful in terms of generating discussions on how a teacher can grow professionally in rural area. NELTA like professional associations are instrumental to connect the digital world to non-digital world through networking. In forms of organizing workshops/training events, conferences, publications, chaining of members at different levels, and mechanism of support from bottom to top or vice versa may certainly assist English teachers to grow. An affiliation to the NELTA like professional associations seem to have increased the feeling of ownership among the members, furthermore, that has fostered a sense of belongingness in a wider ELT community. Eagerness to make difference professionally and active involvement of participants of this branch conference made NELTA Ramechhap review its future directions, particularly, to increase its institutional capacity in terms of human and physical resources to host the international conference phase II in near future. Ashok Raj Khati is an executive member of NELTA and former chair of NELTA branch Ramechhap. Ganesh Shrestha is an executive member of NELTA Ramechhap branch and he teaches at Seti Devi college, Salu, Ramechhap.